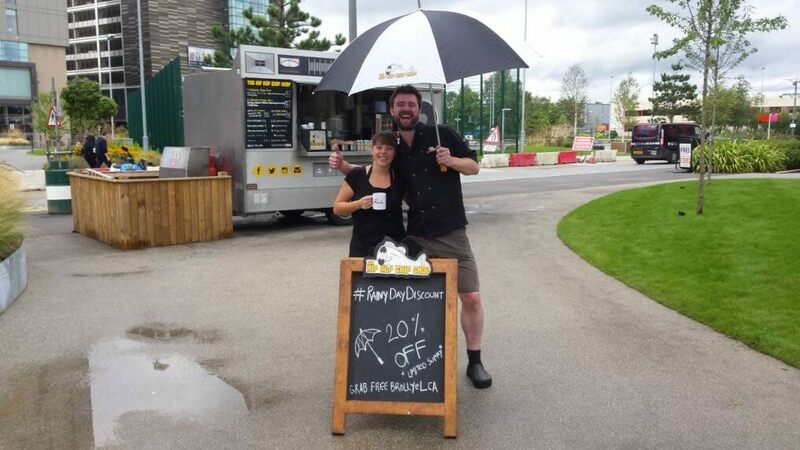 Every time it rains and you brave the elements and visit our Boombox Catering Trailer in MediaCityUK, Salford you get 20% off your food & drink bill – a rainy day discount. Available at MediaCityUK Mon-Fri 12-3pm in 2017. Offer only valid when it is raining at the time of purchase. For those that still don’t want to risk it for a biscuit, they can use Deliveroo MediaCityUK.